Do I need a licence? What's on my boat? Where can I moor? 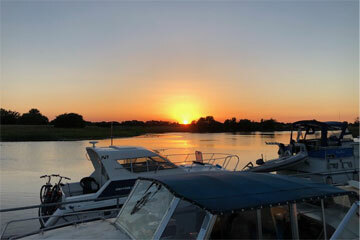 Everything you need to know about cruising on the Shannon River. How long does it take to get from Banagher to Carrick? Our handy table shows cruising times to help you plan your cruise. How do I get to Ireland? How to I get to the marina where my boats is? Planes, trains & automobiles, we've got it covered. We don't like to blow our own trumpet, so we let our customers do it for us! What our customers say about Shannon River. We really appreciate all of your very kind assistance and advice ..
Book a cruise of 7 nights on the Horizon 1 or Horizon 2 from June to October and get 10% Off.